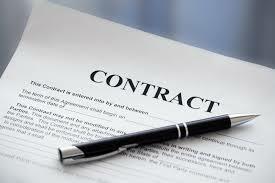 Home Copier Tips What You Should Know About Your Copier Lease Contract? Copier leases can be more complicated than signing the lease agreement. There are things in your contract that requires steps you need to take when your lease comes to an end. Here are the most important ones to know? The first step. It is required to send the lease company a cancellation letter. This is one of the most important steps in your lease contract. You need to know the “End of term” & time to get your cancellation letter to the lease company. The lease company will offer you a purchase price. If you have no interest & plan to return the copier. This is a very important step. Because if you don’t send a cancellation letter. Your contract can be automatically renewed. That will not be a happy moment to experience. Especially if you were planning to upgrade. If you leased a Dollar Buy out. Then there is no need to worry. That is usually one Dollar to the lease company at end of the term. Then you own it free & Clear . The second step. The machine must be in working order when its returned. This step can be negotiated if you plan to use the same copier company if you get another machine from them. If you chose another dealer. Then you will be required to freight the copier to where ever your lease company require it to be shipped too. Here at Arrow Business Machines. We will always help you with any questions & do our best to get you the answers. I hope this little bit of information helps you. If your not quite sure on how your lease works?